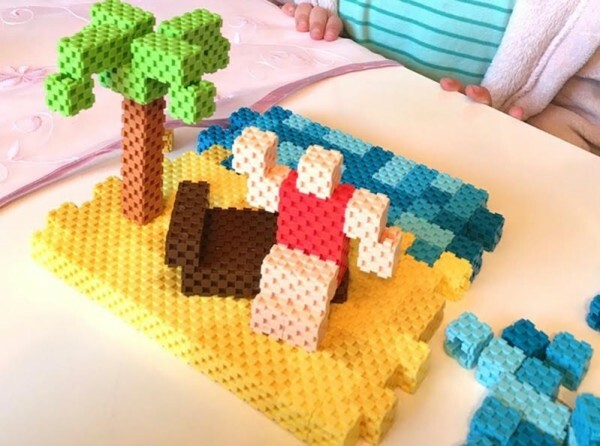 Since then, my son has been requesting at semi regular intervals that we ‘watch that block video again’– because they really are just fascinating to see in action. 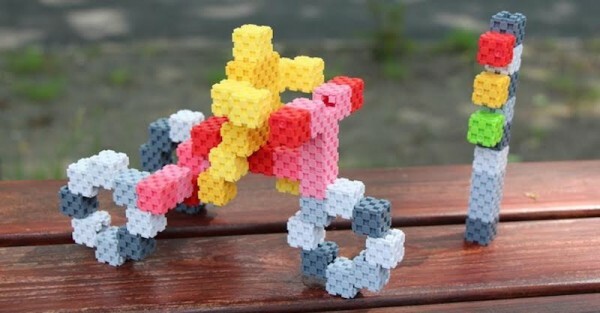 There are 105 different ways to connect the blocks to each other, which makes it possible to create basically anything you like – from letters, to bikes to people. The Lini cubes were first introduced on Kickstarter at the end of 2015. The initial campaign raised just over €27,000 – well above their original target of €1000, and at that stage the blocks were only available in limited edition red. The current Kickstarter campaign is built around the concept ‘shades’, and focuses on the colours of the blocks. There are six different colours that come in three shades each (so 18 different blocks in total), and they’re designed to help kids learn to develop a taste for matching colours. 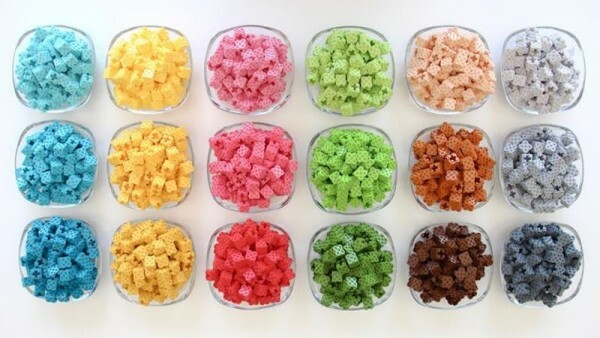 According to the creators, if you pick any two of the 18 different colours at random, they’ll match. They say the formula that was used to make this work is their secret, but however it is they’re doing it, the creations sure are pretty to look at. All I’m saying is, I hope once they’ve finished with these awesome blocks they’ll apply their secret to clothes, because I could definitely use that help with my wardrobe coordination. If you hadn’t already guessed it, I like these blocks a lot. I like the way they encourage kids to think differently about building, and I love the range of colours.